As with most forms of money, there are many different ways in which you can store your bitcoins. Although you should keep the majority of your funds in some form of cold storage or vault, you still need to have easy access to your spending money while you’re on the go or shopping online. Let’s take a closer look at some of the top Bitcoin wallets available to users on mobile and desktop platforms right now. Overview: After plenty of hacks and mishaps with other Bitcoin wallets over the years, Blockchain.info has proven itself as the gold standard of simple, secure Bitcoin storage. Although this is an online wallet, it uses enhanced security measures to keep funds secure at all costs. Blockchain.info never has access to its users private keys, which is the main flaw that many Bitcoin users see with most Bitcoin wallets. Users can access their funds through smartphone apps, text messages, chrome extensions, web browsers, and more. It’s hard to find the perfect balance between ease-of-use and security, but it seems that Blockchain.info has been able to come up with the best solution up to this point. The only downside to Blockchain.info at this point in time seems to be that it can sometimes be a bit overwhelming for people who are new to the Bitcoin ecosystem. They’ve taken some strong moves in the right direction with the latest version of their Android app, but it seems as though they still have some work to do when it comes to attracting both novice and power users of Bitcoin. Overview: Coinbase has its own list of haters, but the reality is that it’s still one of the most user-friendly option for people who are learning about Bitcoin for the first time. The fact that you can also buy and sell bitcoins on the Coinbase platform is definitely an added bonus, but the large amount of identity verification that is required to exchange cash for Bitcoins on this site is a turnoff to some Bitcoin purists. The target audience for this wallet is definitely the mainstream public, and the fact that they’re also a merchant services provider is helpful when it comes to creating a closed loop economy in the Bitcoin space. Off-chain transactions are also available through Coinbase, which allows for instant confirmations on Bitcoin transactions. In addition to their normal web wallet, the company now also provides a vault option for users who wish to have their Bitcoins stored in a more secure manner. Overview: Although GreenAddress.it is a relative newcomer to the Bitcoin wallet space, the reality is that they’re offering some of the most innovative features on the market. At the center of their feature list is the use of multi-signature transactions. As an added security measure, GreenAddress.it is a required co-signer on each transaction that you attempt to make with this wallet. This means that a hacker who was able to find your password and two-factor authentication code would only be able to steal a limited amount of your Bitcoins. This is similar to the security provided by a traditional bank where they’ll put a suspicious transaction on hold and confirm it with you before they allow it to process. There is also no reason to fear that GreenAddress.it will prevent you from accessing your funds because there is a time lock feature that allows their share of control over the wallet to expire after a certain period of time has passed. In addition to enhancing security, the 2-of-2 signature wallets from GreenAddress.it also make instant confirmations possible on Bitcoin transactions without having to handover a private key to a third party. Because GreenAddress.it signs every transaction that comes out of their wallets, merchants who trust the wallet provider can also trust that the coins sent from GreenAddress.it wallets won’t be double spent. This is a feature that is still in the works, but it could have a huge impact on the speed at which Bitcoin transactions can take place in a relatively secure manner. Instant confirmations could also have a huge impact on the altcoin market where many evangelists like to promote the fact that their coin has faster confirmation times than Bitcoin. All sounds good enough, but still this wallet receives many negative reviews due to high fees. Overview: This next Bitcoin wallet isn’t available on mobile, but it’s become well-known as the most secure Bitcoin client for desktops and laptops. There are a number of enhanced safety features available in this wallet, and it even allows you to maintain your offline wallets to help protect your Bitcoins from online attackers. Although this wallet is mainly aimed at power users, the ability to toggle between standard and advanced modes makes it an option that could be viable for anyone. The best part about the Armory Bitcoin wallet is that it provides you with everything you need to secure your Bitcoins with a variety of different backups and cold storage methods. 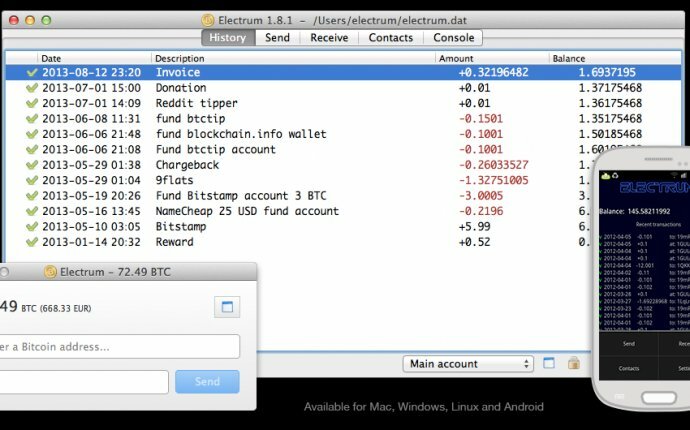 It has the simplest interface possible when it comes to managing your Bitcoins on an offline computer, and this is still the cold storage option of choice for people who have been waiting for more hardware Bitcoin wallet options. Another interesting option is the “Lockbox” interface. This feature allows you to easily create multi-signature addresses that could be used to bring more security to a large amount of Bitcoins. Whether you want to require both a husband and a wife to sign off on all transactions or you need three of the five company founders to spend any of the money in the treasury, these “M-of-N” addresses can be rather useful when sharing wallets with others or adding more security to your savings.